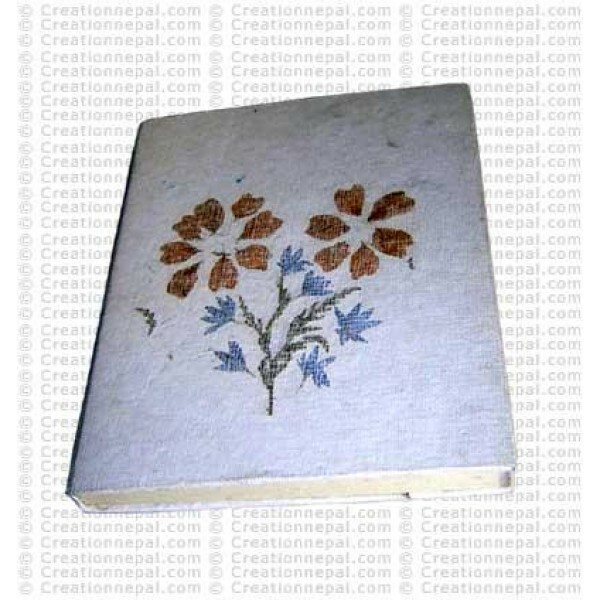 This hard cover pure Nepali handmade paper notebook is decorated of beautiful flower patch and covered by thin transparent cotton fabric for its durability. The notebook contains 50 pages of best quality Lokta paper which is acid free, eco friendly and suitable to keep short and long period journal. Since the product is handmade, there can be slight variations in the given size and color.